The Movement Centre is a UK charity and specialist treatment centre. We are dedicated to supporting children and their families living with movement disabilities. We have a small but dedicated team who work closely with families. We provide a specialist therapy called Targeted Training to help children gain movement control. Targeted Training therapy can enable children to develop new skills and become far more independent. This can have a huge impact on their life. It can also make a big difference to the lives of their family and friends. 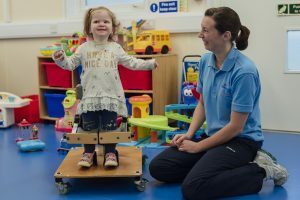 Through a course of Targeted Training therapy children can gain head control, so they can interact with their family; it can help children develop the skills to sit unaided, so that they can play with their friends. For some children it can enable them to walk, which means they can be far more independent! Our clinical team are specialists in Targeted Training therapy, which has been developed at The Movement Centre over the last 22 years. This means that they have a real understanding of the challenges families face and how best we may be able to support them. 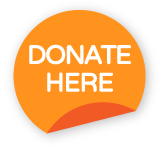 As a charity we rely on the kind support of donors and fundraisers. It would be impossible for us to continue our work without them. We are the only UK provider of Targeted Training therapy. As a specialist therapy it sits outside of the remit for standard NHS funding. This means that many of the children who come to The Movement Centre are unable to access funding through the NHS. Our team works with families to help them access Targeted Training and supports each family through the funding process. If you are interested in finding out more about Targeted Training therapy or how to support our work please get in touch. If you are interested in supporting us why not Join our charity lottery?